Google Fonts have been around for a while, but recent interface updates make this amazing tool better than ever. Obviously, an important step in creating a great looking website or marketing project is font choice. The typography you use can make or break the look you are trying to achieve, but it can be challenging to make sure that other team members and stakeholders have access to the same font options you’re looking at. 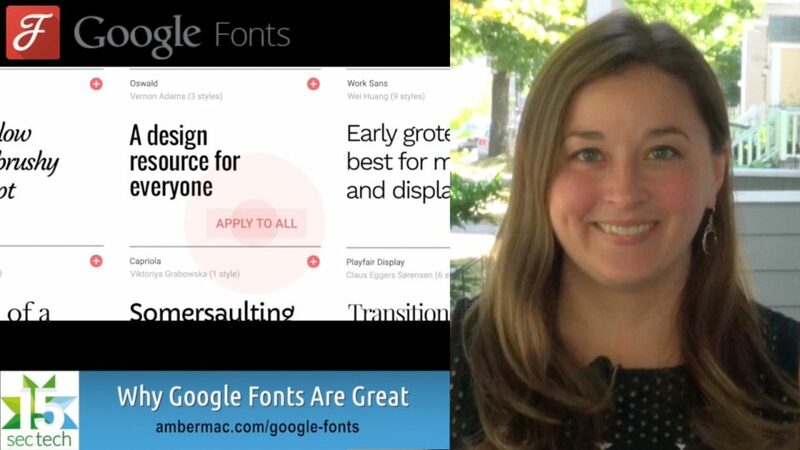 So what makes Google Fonts so great? Let’s take a look. Visiting fonts.google.com gives you access to a web-based catalog of high quality, completely free, open source typefaces that you can view in any browser and easily share with your team. This is very handy when you need to make sure everyone is looking from the same selection and when you want to avoid surprises like hefty purchase prices or technical hurdles related to using a specific font. With Google Fonts, instead of potentially needing various font files to ensure your site works properly on all browsers, you can instead just reference the Google font in your code and Google will serve it up quickly and reliably. The new interface launched earlier this year makes it easier than ever to view and choose fonts, plus you can build collections of your favorites, which is great if you’ve got some go-to fonts for a client or your own brand. So the next time you’re looking for a font for your web project – or any design project that’s going to have a significant web component – make your life a little easier and head on over to Google Fonts to find your perfect font.